The catastrophic nature and implications of nuclear accidents such as Fukushima Daiichi (2011) and Chernobyl (1986) have caused the spotlight of nuclear industry-related academic attention to fall on studies of accidents. However, until now such studies have not encompassed the decision-making processes of those managing power plants, particularly before and during accidents. Professor David Stupples, Professor of Systems and Cryptography, and Anthony Spurgin, a City Engineering PhD student, have published research in the International Journal of Engineering Management and Economics, examining the influence of accidents on the development and management of nuclear power plants. 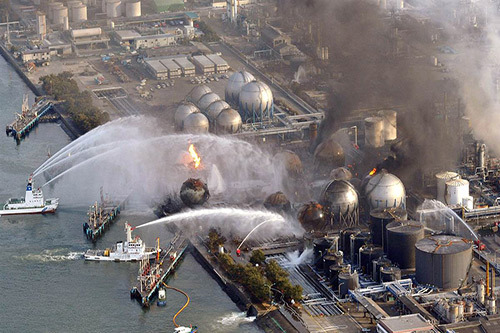 The research used the context of the Fukushima Daiichi Tokyo Power Company accident in Japan in 2011, caused by a 15-metre tsunami following a major earthquake. Stupples and Spurgin examined the impact accidents have on the ways nuclear power plants are organised and argued that "often accident situations and their responses are affected by long-term decisions of management". They researched how nuclear power plants could be managed based on a model devised by cyberneticist Professor Stafford Beer, known as the Viable Systems Model (VSM), which is applied to management running high-reliability organisations. This states that during a nuclear accident a normal VSM nuclear power plant organisational model would transform itself into a compact VSM (with simpler management organisation). In their research, Stupples and Spurgin established a connection between nuclear plant models (including automatic control and protection modules) and Professor Beer's model. They recommended improvements in emergency procedures during accident control and mitigation, which should be flexible and "based upon something like a symptom-based procedure, and should consider beyond design-basis events".